At Harmony 9 or above, the character’s clothes and belongings do not shift with her. Below that, assume her clothing and immediate possessions shift with her, subsuming into her body in Gauru, Urshul, or Urhan form, or stretching to fit Dalu, whatever makes the most sense for the scene. Last edited by wyrdhamster; 01-03-2018, 11:45 AM. By feeding it other appropriate Spirits. So the problem with Armor Spirits is that Armor doesn't have a Predator to Prey relationship where it is the Predator with something else conceptually, like to say Sadness and Happiness can be said to conceptually devour each other or a Wolf devour Deer or Rabbits naturally. Since it doesn't have that predation aspect in its concept it must eat Armor spirits to get conceptually consistent Essence to avoid becoming a Maggath. Spirits of protection and maintenance, of walls and war, of hide and hubris, of fear and fury, of honor and glory, of physical and emotional attachment can all theoretically be subsumed into a spirit of armor with the right background and circumstances; remember that spirits tend to dilute their conceptual purity as they rise in power. Defensive spirits pervade popular occult literature and outside of clear divisions of concept becoming magath is more of an art than an exact science of how closely associated a given choir is to another. It's more like Chainmail in PCs family has Awakened Spirit of Rank 1 because it's minor family heirloom. Topics Fetish needs Rank 3 spirit in item. Can I make Rank 1 spirit into Rank 3 then, somehow? By feeding it other appropriate Spirits. So the problem with Armor Spirits is that Armor doesn't have a Predator to Prey relationship where it is the Predator with something else conceptually, like to say Sadness and Happiness can be said to conceptually devour each other or a Wolf devour Deer or Rabbits naturally. Since it doesn't have that predation aspect in its concept it must eat Armor spirits to get conceptually consistent Essence to avoid becoming a Maggath. Also Armor Spirits would tend to have the Stalwart Numina and Resistance high relative to its other stats. EDIT: Just thought of something that might work instead of Armor Spirits. Also Elemental Spirits of the materials the Armor is made of, as the materials could be said to be consumed in the Armor creating and repairing process. I suppose this is true of most Spirits in the Artificial Choir making Elemental Spirits sort of the bottom of their food chain, right above raw Essence. Fun bit of trivia, one common way to a Spirit to awaken is for something physical which has a slumbering Spirit reflection to have its physical self destroyed. So you could have hunting down armor which is significant enough to have a Spirit reflection, if it is already Awake and has a Rank hunt it down by let the PC's Family Armor Spirit devour it. If it isn't Awake destroy the physical armor to see if that wakes it and if it does then do the previous sentence. My understanding of your Fetish write up is that the spirit must be of a particular strength to make the changes to the Armor needed based on how sturdy the Armor is, thus measured in the Armor rating it grants. Is that correct? Because that makes sense to me, a less powerful spirit wouldn't be able to have the appropriate Influence. One alternative method could be to have the requirement instead be: "The Spirit within the Fetish must have an Influence ••• or greater of a type appropriate to modify the Armor." This would make a Rank 3 spirit the minimum due to the Influence being capped by Rank. Last edited by Pale_Crusader; 01-07-2018, 03:01 PM. If the power of the fetish is to grant an armor rating then that rating would depend on its Rank, but if you already have an armour then the rating wouldn't become worse just because you put a low Ranking spirit into it. Assuming that our PC have 'family armor' on himself, but Spirit of it is clearly too weak - is there a way to strengthened it's Rank in relatively short time? Awakened Spirits are Rank 1 only, armor I have in mind is Chainmail ( Armor Rating 3/1 ), so would need Rank 3 spirit to power the Fetish. Changed to Pale Crusader's drawback in the Fetish rules post. The most obvious solution is finding armor whose Spirit has awakened from slumbering into an active Spirit due to its history, and then use the armor's own Spirit to power the Fetish. 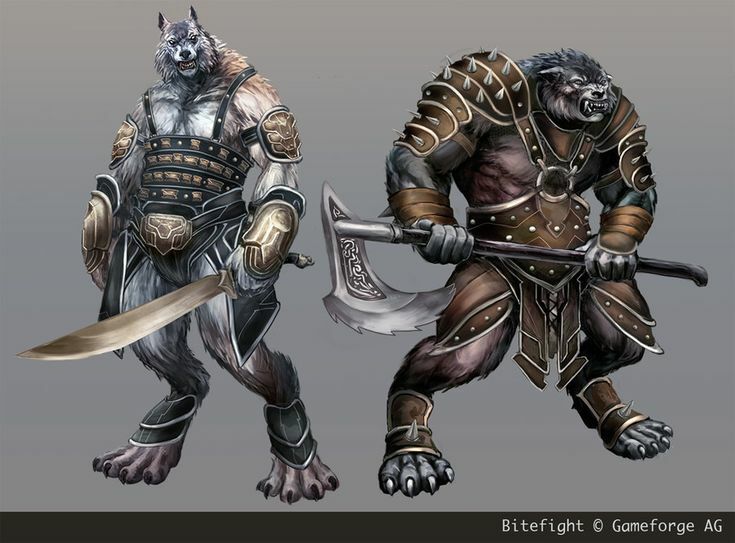 Likely Armor passed down through the generations with a glorious battle history, possibly for a wolf-blooded family would be idea. That is pretty specific, and potentially very meaningful to the PCs if it's their family's armor, and they are interfering with proper chain of inheritance. It is also potential great source for drama. Alternatively they can raid another Pack's relatives which is a great source of conflict in another way. Alternatively a less story rich option is a Gibbous Lune, which is a spirit of associated with shapeshifting. glory, and change may be appropriate too, especially if the particular spirit has been feeding from the glory from battlefields where many different warriors were fighting in armor under the gibbous moon. I mean if your players want to jump straight to the crunch with as little fluff or interesting consequences as possible. Good to know that, maybe use it as alternative plan for creation of Fetish. I'd talk with the players OOC and guage if they want seeking the armor to create storylines where they have to choose between taking something meaningful from their own wolf-blooded relatives or raiding the wolf-blooded relatives of another pack, or if they just want the fetish with as little hassle as possible so they can "Power Up" for another plot where they think they need the crunch to have a chance. Will look into it - but probably they would want to go with little hassle. They are preparing to go for East - i.e. for 'Greece', Byzantine Empire - so they will come across Slavic lands at the dawn of 9th century. I do not assume there will be very much powerful 'modern' ( to the Era ) armors in there. Last edited by wyrdhamster; 01-07-2018, 03:40 AM. ​I'm not sure the Drawback is a meaningful one; in numerous circumstances, making humans more likely to fail Lunacy rolls is an additional advantage, not a weakness. I'm not completely sure why you've included the Drawback section at all, really. Hell, I made an entire Wolf Gift around weaponizing Lunacy and using it to your advantage in the Giftbox thread. Remembering the armour regardless of Lunacy is much more of a drawback, as well as being more thematic and a neat storyhook. Where can you hunt on Crafting or Armour spirits? My players have Locus in local Forge of one of them - but they would rather want to stick with their Forge spirits to be in place there. I thought that seeing Gauru in Armor would be more scary than seeing just simple Armor. And seeing Urhan or Urshul in Armor also being really weird for humans. So it would be rather Drawback. I agree having the armor being memorable regardless of the Lunacy result is an interesting and meaningful drawback, but messing with the Lunacy roll could be advantageous or disadvantageous depending on the intentions of the werewolf wearing it, taking it out of the Drawback category. Drawback: Every witness that sees a character wearing this Fetish in their alternate forms will remember and recognize the armor, regardless of Form or result on the Lunacy check. Functionally this makes the armor a sort of Tell for those that would identify the wearer (As per Mortal Mask Numina). This is likely to affect Impression level for Social Manuevering, as appropriate. Last edited by Pale_Crusader; 01-06-2018, 07:17 PM. Rather than a spirit related directly to Change as a concept, I'd be inclined towards spirits of crafting, armour or the forge tbh. I thought that seeing Gauru in Armor would be more scary than seeing just simple Gauru. And seeing Urhan or Urshul in Armor also being really weird for humans. So it would be rather Drawback. Last edited by wyrdhamster; 01-06-2018, 07:11 PM. Isn't your player's imperative trying to come up with that? Hell, even a water elemental fits, it mutates to match the container. Good one, but I look for more. My Vikings players would want some options on creating this Fetish. The only problem I have is with – What types of spirits can create Shapeshifting Armor that is changing with Forms of wearer? As my problem was not answered by others - maybe I ask politely devs what they thought is on this question. Acrozatarim, if you can, maybe you can point me what are other Spirits of Change than Lunes - to make this Fetish? Well, beside Idigams, of course. There's far easier ways to get armor. Get a totem with Strengthen (Pack) to provide it.